On 8 March each year, IWD is marked to commemorate the movement for women's rights. 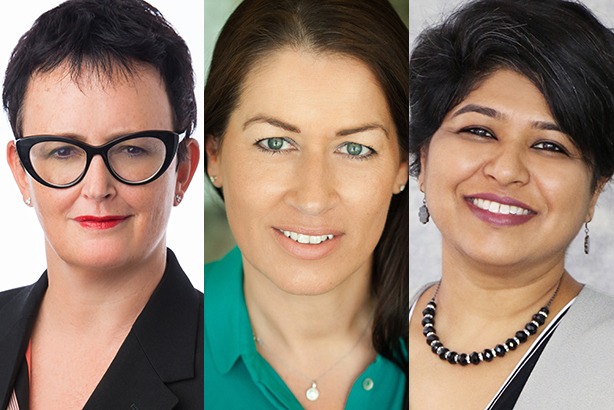 To mark the 2019 edition, which this year is under the theme #BalanceforBetter, PRWeek Middle East has asked women working in PR and communications to give their perspective on what International Women's Day signifies to them - and what it means to be female in the Middle Eastern communications industry. For Elizabeth Sen, chief client officer for the MENA region at APCO Worldwide, 2019 is "an exciting time" for women in PR. "Glass ceilings are being shattered and diversity and inclusivity are seen as core values," says Sen. "Today, it is also heartening to see that we are fully leveraging people from different nationalities; their talent and ideas are coming together to deliver some of the most impactful campaigns in the region. "Being part of a majority women-owned business, with over 50 per cent female representation in the Middle East, I believe in the exceptional emotional and strategic equity women bring to our clients." Loretta Ahmed, CEO for Middle East & Africa at Grayling, says IWD is both a celebration of what women in the marking and communications market are achieving in the region, and a reminder to do more. "Having been in the region for more than six years now it has been a pleasure to watch the progress with regards to gender balance – especially within the governments," she says. "It is the private sector that perhaps needs to do more. "I do think PR as an industry has a good gender balance, although there is still work to do at senior levels, of course. As consultants we have the ability to effect change in every market sector we work in. "Our job is to ensure our client’s claims are backed up with proof points and action plans. The world is transparent now and the best leaders are the ones who get that and deliver their vision authentically and with purpose." Margaret Flanagan, executive vice president at ASDA’A BCW, says while gender equality in the workplace has come on leaps and bounds, there is still progress to be made. "There are some incredible women working both agency-side and in-house in the Middle East," she says. "International Women’s Day provides a point in time where we can celebrate how far we’ve come over the last few decades, and also take a moment to reflect on what more we can do to address remaining gender inequalities – particularly in the workplace. "Whether this is examining any gender pay gaps, adopting more flexible workplace policies, or recognising the benefits that those softer qualities traditionally associated with women can bring to leadership, we still have areas to explore and improve. "I believe that increasing equality and celebrating diversity can only add value for our people and our industry." Louise Jacobson, managing partner of Brazen MENA, feels women are dominating the PR market in the region. "I am incredibly privileged to firstly be a woman, secondly to work in the exciting world of PR, and thirdly to have the opportunity to make a mark in this dynamic region," she says. "Over the past five years working in the UAE, it has been motivating to see that the PR industry is predominantly female-driven. "This country is a melting pot of nationalities, giving us different perspectives and experiences. Brazen was essentially a start-up here when I launched it in 2015, and now we are Small Consultancy of the Year for both MEPRA and PRCA MENA, and I don’t think I would have got this opportunity in any other region. "I always look to other women around the world for inspiration. I had the honour of meeting H.E. Mona Al Marri, director general of the Government of Dubai Media Office. Her stories were incredibly inspiring and brought alive just how much the industry has progressed here, and I’m excited to see what the future holds for me as a woman in PR in this region." For Patou Nuytemans, chief executive and chief digital officer for the MENA region at Memac Ogilvy, International Women’s Day is an ode to an inspirational female she met in the early days in the region. "Throughout my career I’ve been fortunate to live and work in many beautiful and unique places around the world," she says. "I was raised to thrive on challenge – to take every opportunity to learn and grow. But perhaps no experience could have prepared me for the challenge I faced when my management offered me the role of CEO for Memac Ogilvy across MENA. A European woman in the Middle East? Doubt was seeded. "But then one day I was fortunate enough to hear Her Excellency Reem Bint Ebrahim Al Hashimy speak, and my perspective was changed instantaneously. "She talked not only on women in leadership, but on how the UAE truly cherishes its equilibrium of local and international professionals, both male and female, inspired by its history of always having been a crossroad of trade; a place where people connected. "It inspired me to continue my task with gusto and bravado; to create a home for my family and I to grow into. To approach my work here with the same set of principles and values the UAE bestows upon itself and its people: trust, respect, honesty, and generosity. "We were made to feel most welcome here, in this inspiring melting pot of talent, creativity and human ingenuity – led, in part, by some of the fiercest and most brilliant women I have ever met. "So, I’m dedicating this International Woman’s Day to Her Excellency, and to all the women leaders in the UAE and the Middle East.